To enter our January/February Release's The Big Giveaway CLICK HERE. To enter to win Premiere Day 1 featured products...continue reading! For all you fans of The Big, the Bold series it is your time to rejoice as we bring you the latest addition: The Big, the Bold and Baby along with The Big, the Bold and Baby Cutaways! 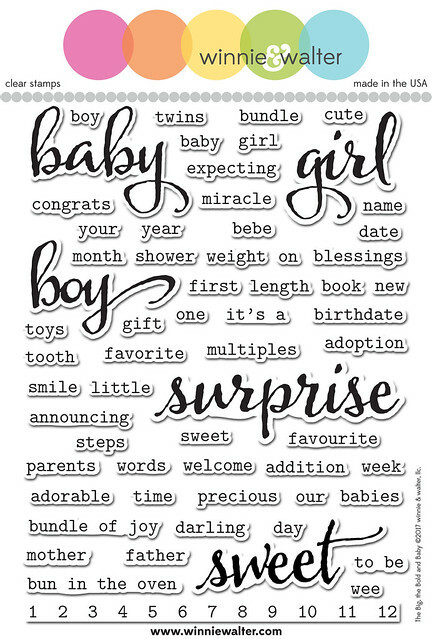 This addition includes big words: baby + boy + girl + surprise + sweet and are perfect for cards, baby books, pregnancy journaling, memory keeping baby showers and so much more! 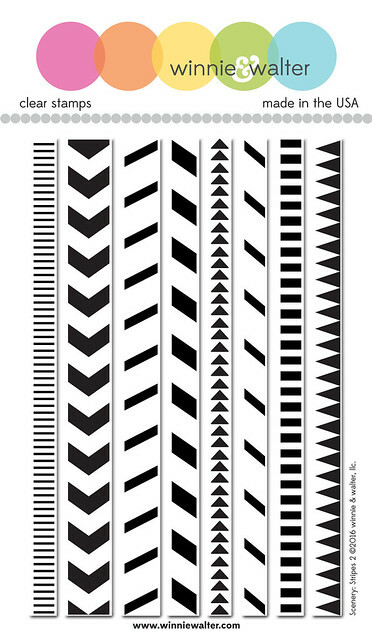 We are introducing a new "follow up" scenery stamp set: Scenery: Stripes 2 to add a punch of the graphic that plays well with Scenery: Stripes or on its own to build backgrounds or to add a border. Seriously this set has so many possibilities. Let's get to the fun part and see these products in action. For today I went with a quartet of really simple cards using the Scenery: Stripes 2 almost like I would a wash of color along with the The Big, the Bold and Baby, The Big, the Bold and Baby Cutaways, In a Word: Congrats Cutaway, In a Word: Baby Cutaway, and In a Word: Precious Cutaway plus a new cutaway set being featured tomorrow. I added some enamel hearts and stars from the enamel shapes by Pinkfresh Studio from their new The Mix No. 1 Collection. Aren't these stamp sets and cutaways fun? My cards are a very simple introduction to what can be done...wait until you see the marvels The Talent have in store for you! Please be sure to click the links to their blogs and leave them some love. CLICK HERE to see more from Gayatri. CLICK HERE to see more from Heather H.
CLICK HERE to see more from Heather P.
CLICK HERE to see more from Kate. CLICK HERE to see more from Kelly. CLICK HERE to see more from Lydia. CLICK HERE to see more from Mayuri. CLICK HERE to see more from Vanessa. Comment here on this post for a chance to win The Big, the Bold and Baby stamp set + Scenery: Stripes 2 stamp set + The Big, the Bold and Baby Cutaways + all three (3) In a Word Cutaways of your own by 11:59 p.m. (central standard time) February 3, 2017. One comment will be chosen at random. All winners during our January/February 2017 Release will be announced by February 10, 2017. To enter our January/February 2017 Release's The Big Giveaway CLICK HERE. Yeah! I love the big bold series super duper! I really love the addition to the Big and Bold series! I kinda figured you'd do a background with this set Shay, but four? Wow!! They look fab on the new cutaway! Wow!! Love the Big, the Bold and the Baby!! Such cute cards!! those stripes are so fun! So amazing!!! Love it all! All of these cards are sooo cute and clever. Great release!!!! Love the backgrounds! Great job by the DT featuring the new products! I've been anxiously awaiting the new release--hurrah, it's here! As always, such great cards by all of you--very inspiring! Thinking I may be buying my own BD present from W&W! Yay for another fab release. Seeing all those awesome projects by the DT makes me wish I would need to create lots of baby cards, but the truth is I hardly ever need them. 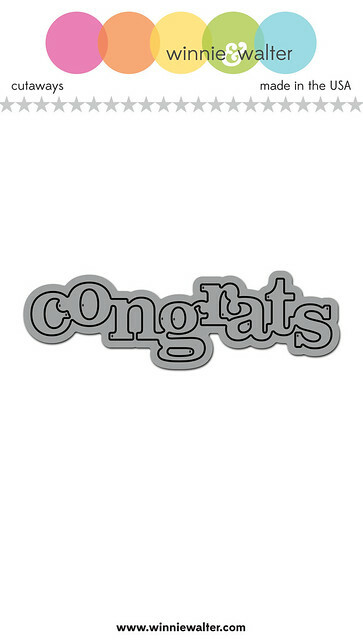 But then there's enough left to be added to my wish list, such as the stripes and the Congrats die. And who doesn't love a Sweet Surprise?! I love the new The Big, the Bold & Baby set! Great new addition! The number of times I squeeaaaaled when scrolling through this... such adorable cards! Love all of these awesome samples! Looks like a fabulous release! My favorite is the Stripes 2 set! So many possibilities! Oh, these are all sooo sweet! 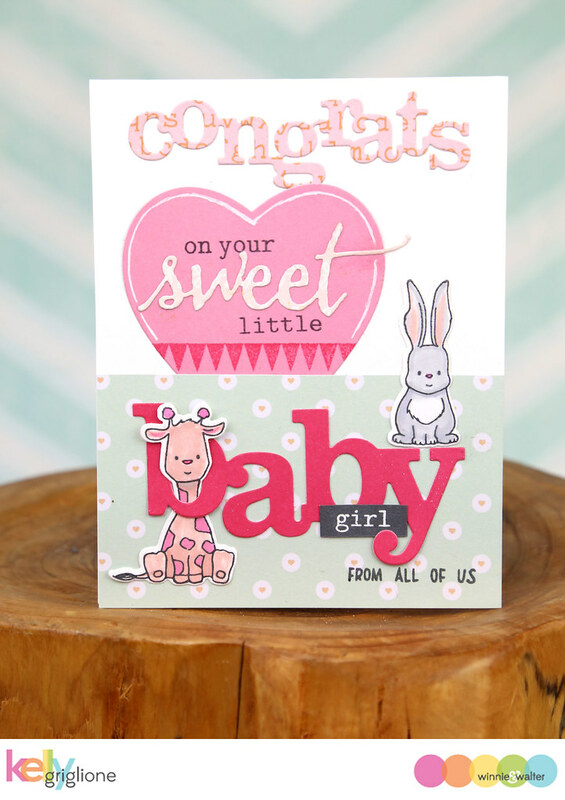 What a great assortment of design styles for baby cards! 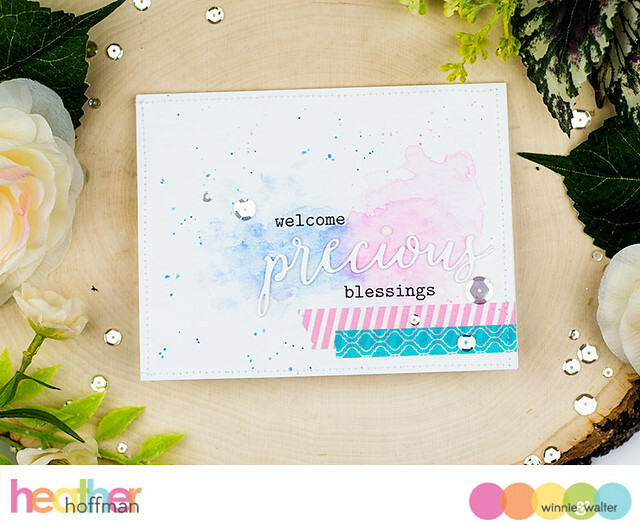 Fabulous release...love the big snd bold sentiments..and Wow there are so many possibilities with stripes stamps..Love Dt cards..
Can't wait to see more of the release! Looks GREAT so far! Thanks for the chance to win!! Big and bold is a great series! Happy that you are adding to it. Lots of possibilities and they aren't all baby! When I first saw Scenery Stripes 2, I thought "okay, that might be one to buy" - after seeing today's samples, now I NEED to buy!! What a cute release! The samples from the design team are amazing! So much talents! Wonderful new release items!!! The new baby items are fabulous additions to both your Big and Bold series and your cutaways selection. The designers did a fabulous job!!! Wow!! Awesome new supplies in the new release. Perfect for baby themed projects. I love the big, bold series of stamps because they are very versatile and look great on many projects! Definitely a must have. Gorgeous creations by the dt. Awesome projects! Love the Stripes stamps! OMG!!! Such amazing set of cards!!! Absolutely sweet and cute!!! Love this release!!! I'm so excited for The Big, The Bold and Baby!! I love my The Big and The Bold stamp sets because anything I want to say is bound to be in one of my sets! I can hardly wait to add Baby to it! That little elephant is so sweet and adorable! I love the cutaways sentiments too! to use and so pretty. Love everything! I especially like the baby stuff, we have lots of new babies on their way this year in my family. 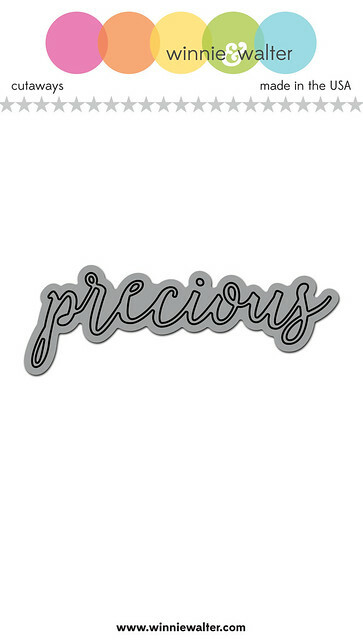 Super cute BABY set, love the font styles especially Precious! The Scenery stripes 2 set is awesome too. The DT examples are beautiful! I LOVE the background stamps & Heather absolutely nailed it!! Love the black border background she used & the pink & black sentiment!! WOW! Gorgeous cards that parents of a new baby will treasure forever; heart warming and touching, all! Aww, ALL of these are darling baby cards! What fantastic sets! You call them The Talent for good reason! Wow! Such amazing cards today! Loving Day 1 of the release so far! Thanks for the chance to win this awesome giveaway too! Fabulous products and wonderful inspiration pieces by the dt. I love the colourful backgrounds on Shay's cards and Mayuri's is a stamping masterpiece! 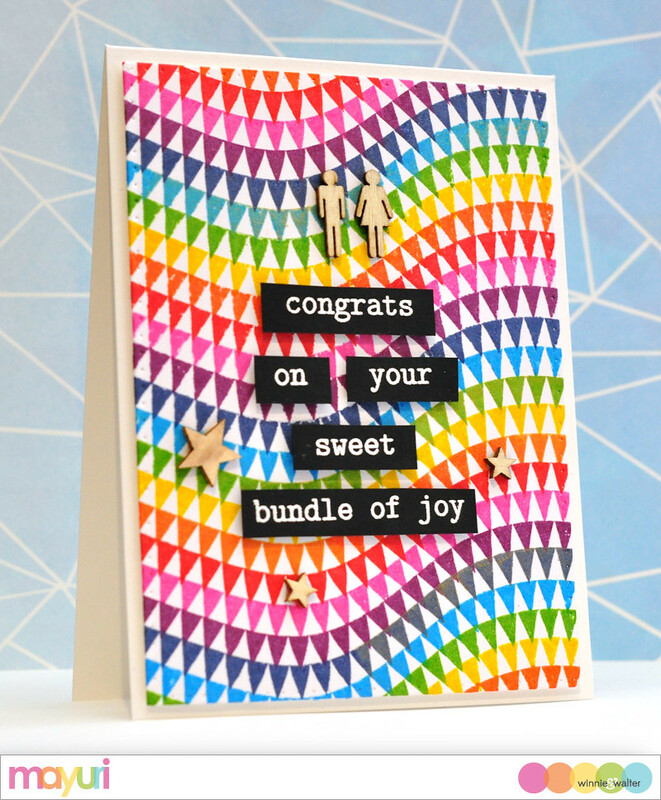 Gorgeous sentiments and dies, loving those stripes! Loving the new release... lots of sweet products! The samples are awesome and inspiring! Fabulous new products as usual! Kudos on another super versatile Big and Bold set - perfect for moms announcing their new little ones too. Love the dreamy creations but I'm enamored with those stripes. Love them. Yay! Your big and bold sets are a must! 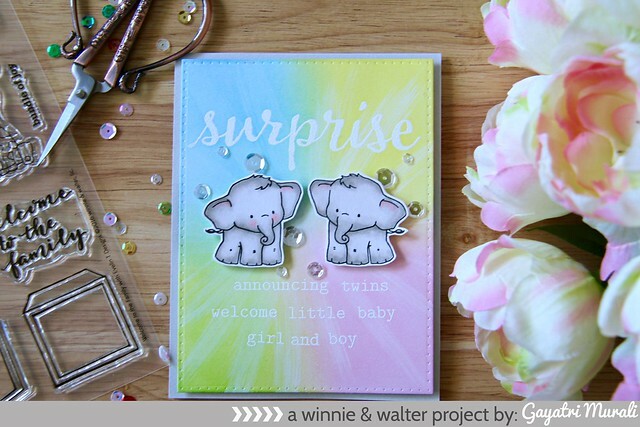 Love the sentiment stamps and the elephants! These are great cards today--the elephants are so cute, and I always love Big and Bold anything! Wow so many amazing cards made with this stamp set! Can't wait to add W&W stamps to my collection! Fantastic new Big & Bold release! Great Inspiration! Love them all! Great addition to Big & Bold. 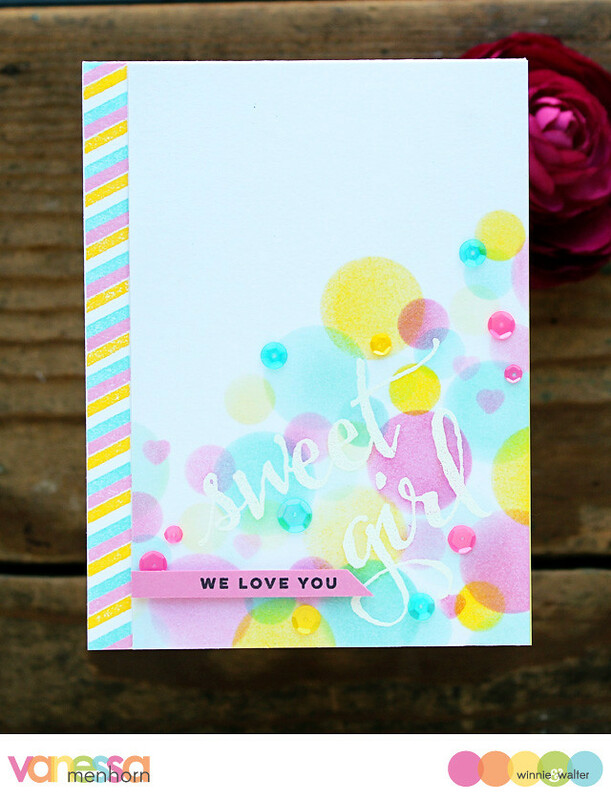 Love the Big and Bold sentiments stamp set! Love that the new dies and stamps are so versatile for new babies or for older little ones. 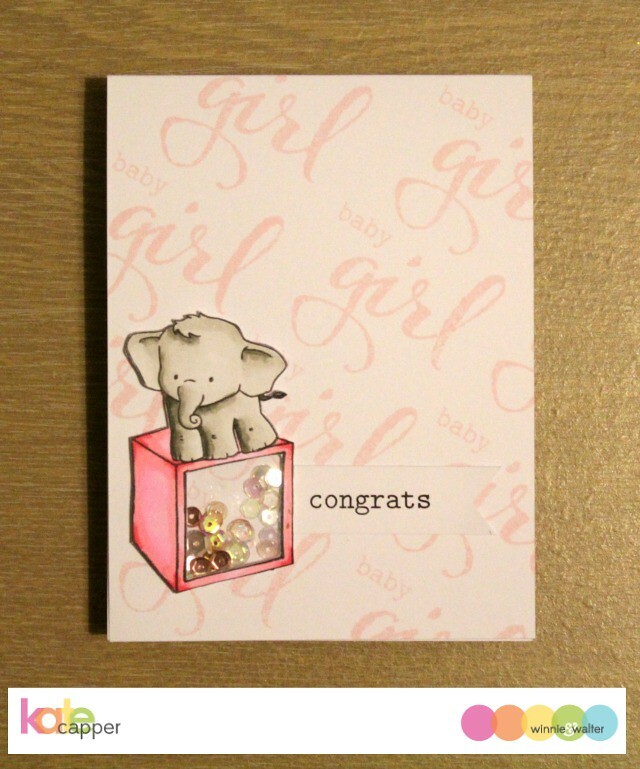 Love the size of the baby die and Kelly's card with the giraffe peeking through the b. Great release. Such a fantastic idea to have some products for babies, these will come in handy!!! WONDERFUL stamps, cutaways and cards! I am IN AWE of the CREATIVE INSPIRATION shared to introduce these CRAFTY DELIGHTS! Oh My! These are a must have for me just having a new baby! LOVE them all! love the precious die!! And all the coordinating baby!! Love! Those stripes are all so fun and I love the backgrounds Shay created with them - so bold and fabulous! 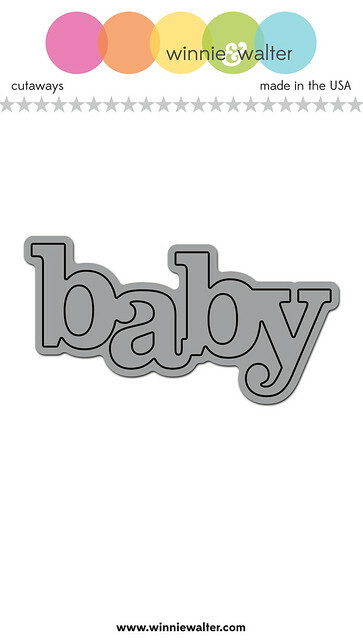 Love all the baby stamps and dies especially the precious die. Those elephants are cute too. Amazing release along with fabulous creation! Great new release and wonderful inspiration cards! I'm in LOVE with the baby set! I can't wait! Those little elephants are adorable. And what a terrific Baby Words set. So many possibilities there! I'm a fan of The Big, the Bold series from the early beginning, so I'm excited to see this new baby-themed set. I love, love the new The Big, the Bold and Baby Cutaways there are amazing! Wonderful and adorable stamps. I really need BIG stamps as I seem to only have little ones. Mind you I haven't many of them either lol. 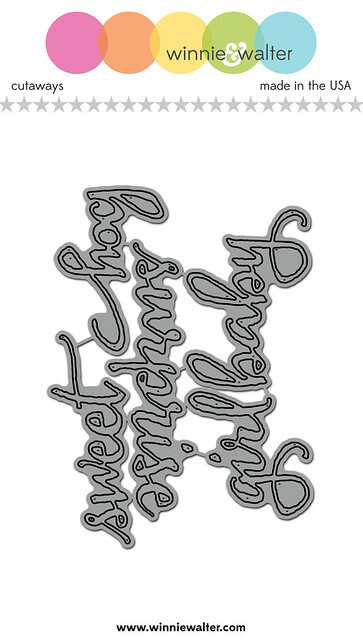 Oh my!the baby sentiments stamp is a must have! This is surely an awesome release! I am dying to buy this set! When will it be released?? All of the January/February 2017 Release stamp sets and cutaways will be released tonight, Friday, February 3, 2017 at 10:00 p.m. CST. Wow! Love these new products!! And all the cards to show them off are fabulous!! I love the stripes 2 so cool! I love the variety of what you can create for baby! Fantastic cards, DT girls!!!! I love all of the new Cutaways! I love the new baby designs! Adorable! Love all the baby goodies - have a few friends due this year. Awesome creations from the talent. January Color Combo with Heather H.